Avoid the hazards of faulty installation, improper grounding, incorrect operation and poor maintenance of electrical equipment with these key tips. If you decide to throw away the appliance, make sure it can’t be used by someone else.Only ever disconnect an appliance at the outlet by pulling the plug, not the cord. This extends the life of your appliance. Use childproof plugs in electrical outlets to deter children from poking small items into them. 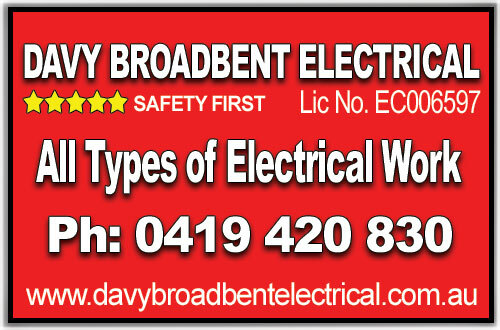 Call Davy Broadbent licensed electrical contractor if you need electrical wiring or repairs, no matter how minor the job. Know the location of any underground power lines before digging at your property. Need to report a fault or emergency? 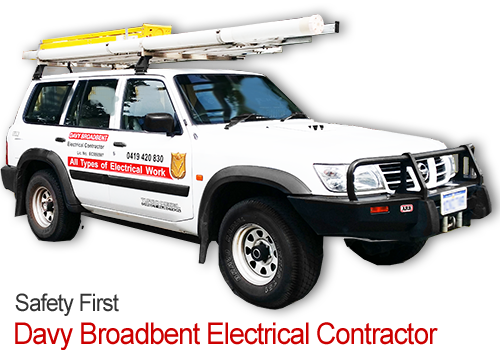 Western power Faults 13 13 51 – Call 000 if the situation is life threatening.